Now that the Little Dude is almost three years old, he has a plethora of friends, many of whom he’s known his whole life. He doesn’t see them all regularly, but is often glad to reconnect with long lost pals. This week’s Rockin’ Friday tune of the week is one he could sing to his buddies when he runs into them after an extended period. 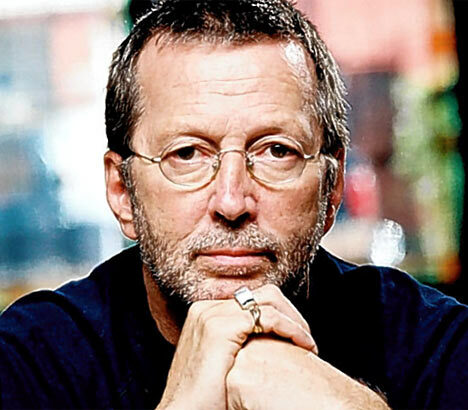 Eric Clapton wrote Hello, Old Friend in 1976 for his fourth solo album. It’s a great song about reconnecting with old faces. It’s a very atypical pop-style song from a guy known for his masterful electric guitar work, but it works very well thanks to the complementary female backup singers who join Slowhand on the choruses. Hello old friend, It’s really good to see you once again. It’s a great song with an important message about keeping your eyes on your surroundings, for you never know when you’ll see something unexpected. That's true about a lot of things in life. What's your favorite Eric Clapton song? Eric Clapton is sooooo awesome! Tears in Heaven is my favorite. But it's so dang sad, especially when you have sons. Still, so sad. Well, I am ashamed to admit that I had never heard this Clapton tune, but it is perfect timing....I had two old friends that I was stationed with in Korea about 15 years ago visit with me in my home this weekend. It was awesome. It was great catching up with them and getting to know thier families. Thanks for this!